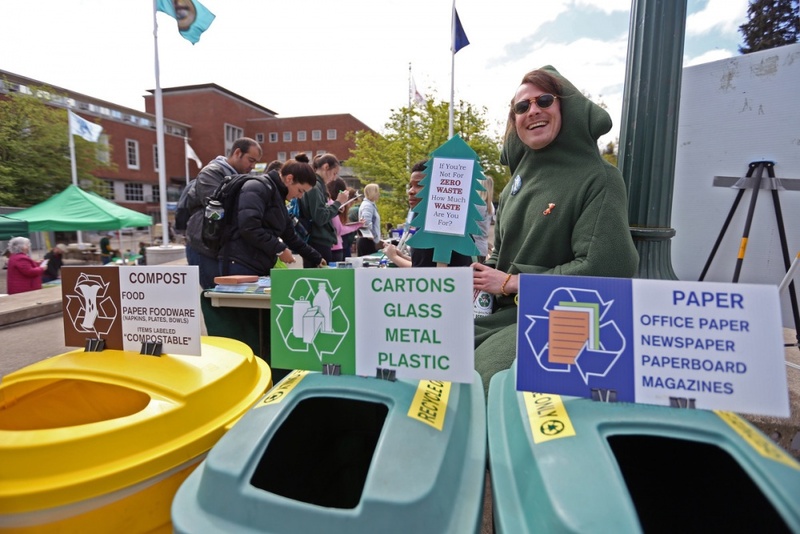 The University of Oregon Zero Waste Program was recently selected by the Association of Oregon Recyclers as Recycler of the Year in the category of higher education. The Zero Waste Program started as a student initiative on campus in 1988 and has has established a reputation for innovation, sustainability and waste management. Last year the program reached more than 50 percent waste diversion for its fifth consecutive year. However, the program has not only fostered waste diversion and management but also student engagement. It works with more than 1,000 students, interns and community members, according to Zero Waste manager Karyn Kaplan. The latest award is one of 25 other local, state and national honors the program has received. The award will be presented at a conference at the Eugene Hilton on June 15. To learn more about the UO Zero Waste Program or the Association of Oregon Recyclers visit their websites.